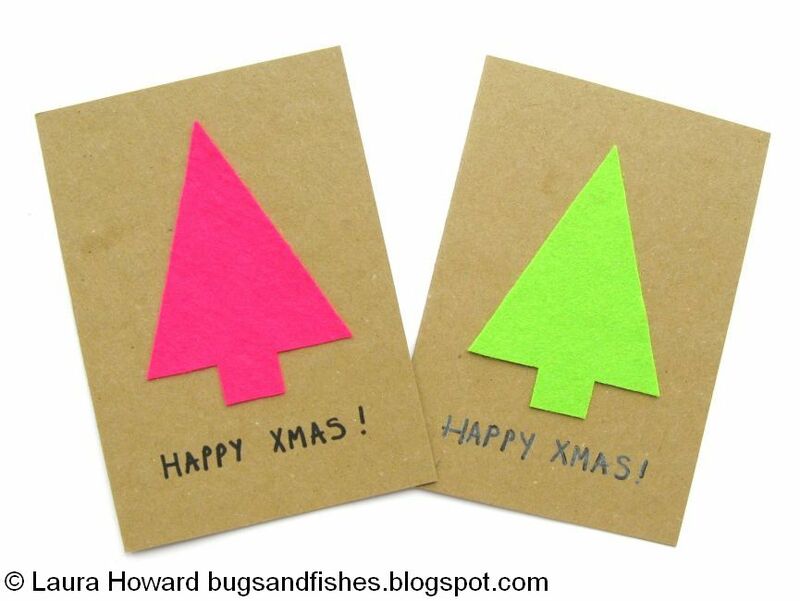 Today I'm sharing an easy "how to" for making simple Christmas cards and tags from neon felt. This is a super simple design but the bright colour + the texture of the felt = a great combo. Of course, you could use any colour of felt for this project but the neon colours work so well! 1. Use the large template provided to cut out your Christmas tree shapes, one for each card you want to send. 2. 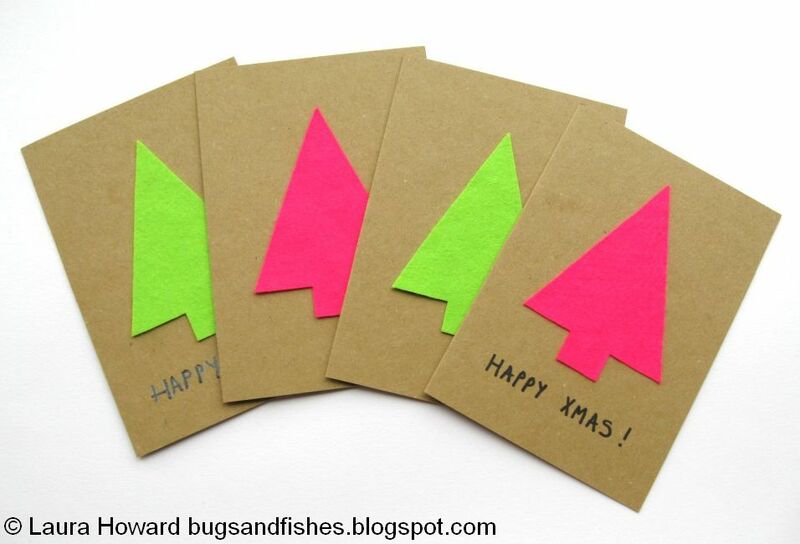 Stick one tree to each card. 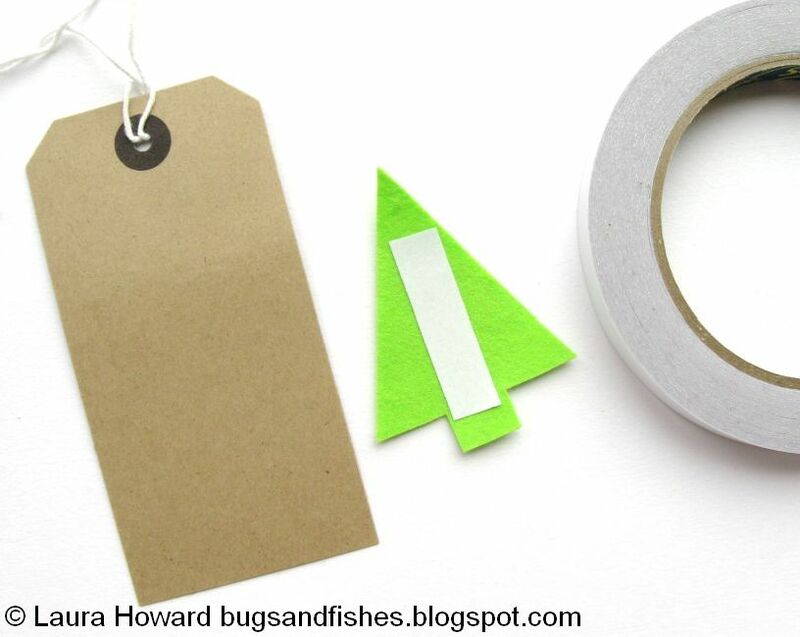 You can use craft glue or pieces of double-sided tape. 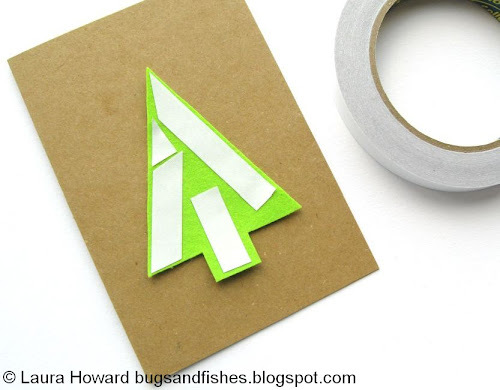 Peeling off the tape can be a bit fiddly but it's mess-free and sticks felt to card really well with no lumps or bumps. 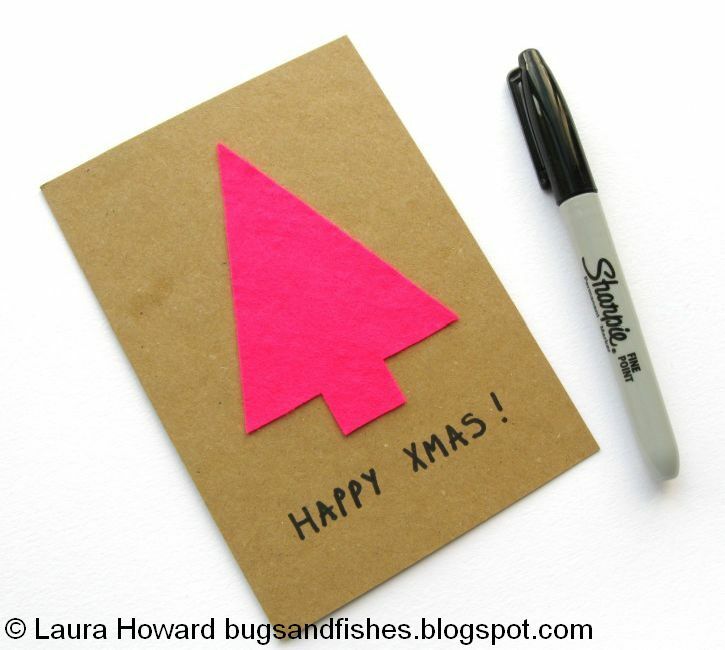 Make sure to leave space at the bottom of the card to write your greeting, if you want to add one. 3. Use a marker or other pen to write a simple greeting under the tree. It's a good idea to write the text in pencil first to make sure you get it nicely centred. You can also use a ruler to give yourself a straight line to write across. Wait until the ink is totally dry and then erase the pencil lines. 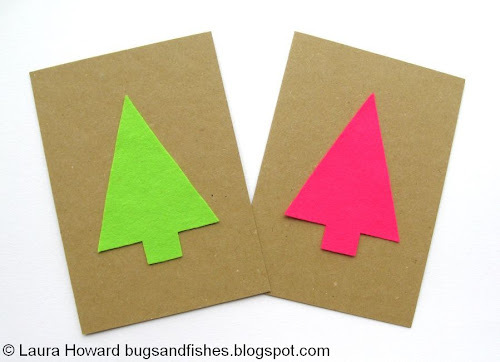 I tried using a silver marker for the card with the green tree but it didn't work at all as the silver didn't show up well on the brown card. Oops! However, silver lettering would look great if you were using black cards. For a super minimalist look, leave the cards text free! 1. 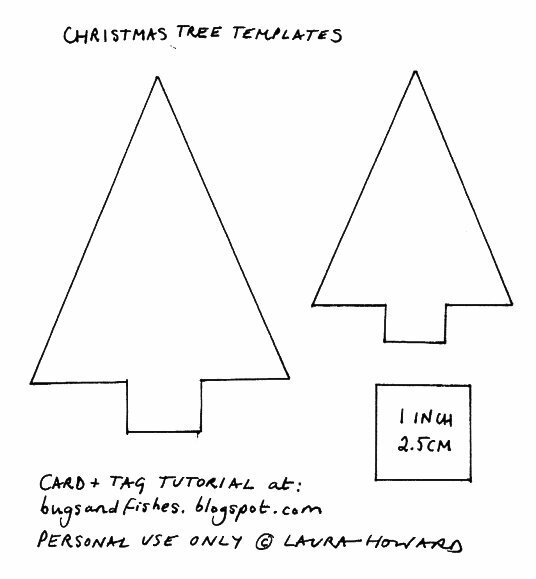 Use the small template provided to cut out your Christmas tree shapes. If needed, resize the template to fit your tags. I used ready-made blank tags but you could make some yourself from blank card, a hole punch and a piece of string/twine/yarn/etc. 2. 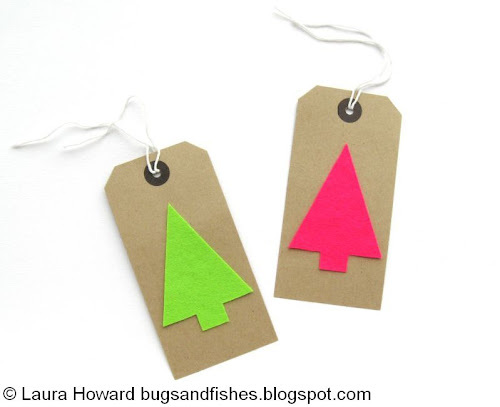 Stick a Christmas tree to each tag. 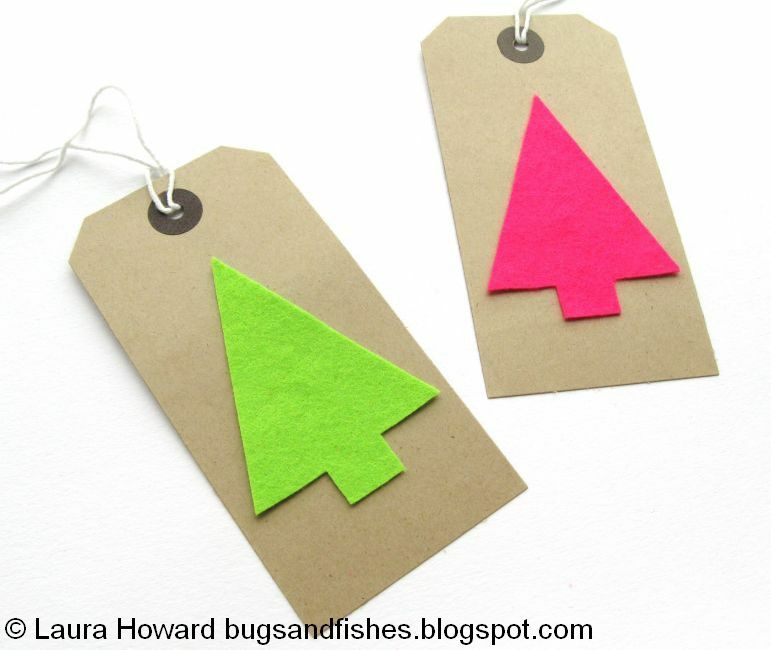 You don't need much to attach the trees - I just used one piece of double-sided tape. And that's it! 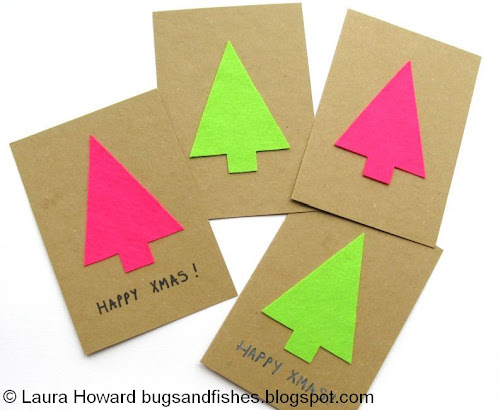 Quick and easy tags ready for dressing up your parcels. These tags would look great paired with brown paper and silver ribbons... or with other neon gift-wrapping supplies. Neon London sell a great selection of neon ribbons and wrap. This tutorial is for personal use only. You may borrow a couple of photos if you want to blog about this project, but remember to credit me and link back to this page on my blog, and do not reproduce my entire tutorial / share my templates on your site. Thanks!